Walking sticks from cabbage! What you see in the video is a stick made from Brussels sprouts. This post is about that project and the reason for it. People on the Channel Islands raised cattle as well as cabbages and broke off the big lower leaves to feed their cows. In the cool, moist climate--perfect for cabbage plants--the plants grew taller and taller, while people picked off more lower leaves. Since the growing season is long and the frosts light, the cabbage plants sometimes reached twenty feet tall, with big cabbage leaves at the top. They looked from a distance like palm trees. The stems were pretty tough, so when the plant died, the resourceful islanders found a variety of uses for them. One was to dry, smooth, and varnish the cabbage stems and use them for canes or walking sticks. Time and change has mostly eliminated both the giant cabbages and the walking stick industry, but they still make a few (Link). I wanted to show a picture of the canes in the video but I wasn't sure about copyright issues on the pictures I found. 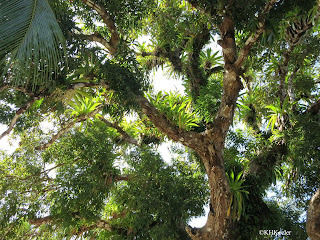 I recently took a week’s trip through the Panama Canal and up the Pacific Coast to Costa Rica. It was lovely. Traveling in a ship means I unpacked only once. It also meant I could retreat to air conditioning. This was an expedition/cruise on the National Geographic Sea Lion. Betchart Expeditions and Academic Arrangements Abroad working for the American Association for the Advancement of Science and Sigma Xi organized my part, but others on the ship had signed up with National Geographic Expeditions and Lindblad. Lindblad organized the actual itinerary and provided the staff. This kind of complexity is common on tours for many reasons, including keeping group size small while filling a 70-passenger ship. I had never been to Panama. It is tropical, about 10o N of the Equator. We were never very far above sea level. That made it the quintessential tropics: warm and humid! The temperature range, day and night, all year, is between 68 ad 93oF. The rainfall in Panama City is 75” annually, but many areas are much wetter. With warm temperatures and plentiful rain, the plants were lush. One reason I became a plant ecologist was that my ecology class professor at University of Michigan, Dr. William Benninghoff, left, as planned, in mid-semester. He did research in the arctic and seasons in the tundra don’t wait for anyone. Ah, I observed, ecologists travel! I had a chance to experience that again this summer. From Indiana University came Ph. D. student Wesley Beaulieu and Professor Keith Clay to collect morning glory seeds. Not just any morning glory but the bush morning glory Ipomoea leptophylla. Since I had studied the bush morning glory, I agreed to be the local guide. I love color. I have knitted and woven and embroidered since I was very small. Trying plant-based dyes was an obvious intersection of my interests. Plants! Color! Wonderful! So off and on I will write about dye plants, even though most of the important dye plants are unknown to most people. But dyes from plant sources are familiar. The grass stain you got on you jeans sliding into first in the neighborhood softball game? That's a basic dye found in most leaves. Leaves of many plants will produce a yellow or olive green dye. I wrote a few weeks ago that it would be nicer if the pretty flowers on the roadside were native plants, not escaped aliens (link). One plant that fills that role in my region is Rocky Mountain bee plant, Cleome serrulata. 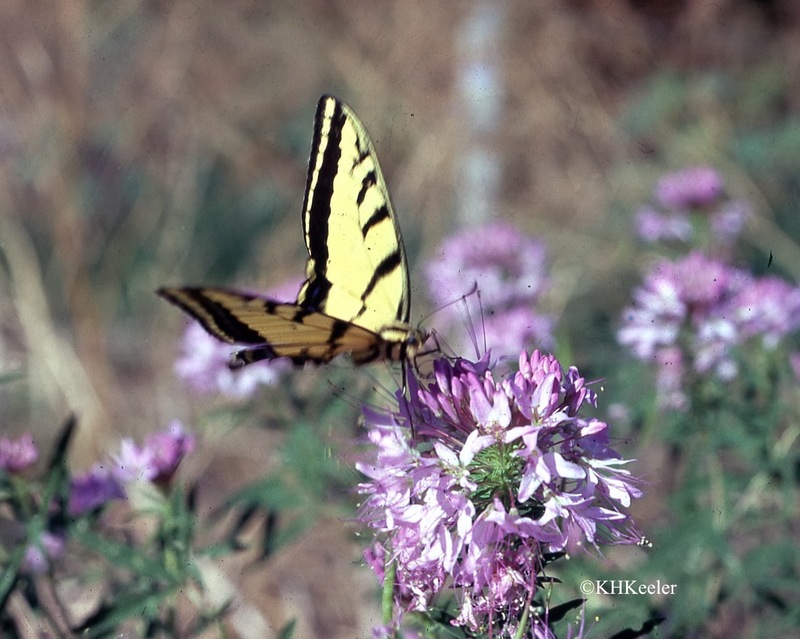 Rocky Mountain bee plant is a native North American relative of the cleome that is widely sold as a garden flower, commonly called spider flower (link to photo). Spider flower is Cleome hassleriana from South America. Rocky Mountain bee plant is smaller than spider flower and, as far as I know, only has purple flowers, not white,cream or pink. In July 2012 I spent a week in southern Finland after visiting Iceland. At the opposite end of Scandinavia, Finland is very different from Iceland. At 130,666 sq. miles, Finland is a slightly larger area than the state of New Mexico, but longer north-south and not as wide. The northern third is inside the Arctic Circle and the south on the Baltic Sea's Gulf of Finland. Unlike Sweden and Norway, it is not mountainous. The population is 5.4 million, making it one of the least densely populated European countries. We visited the southern part of the country just after the summer solstice when the days were very long. Finland has conserved its forests and you don't have to go far from Helsinki for the country to look uninhabited. In July of 2012 I visited Iceland for a week. I expected green hills and Viking-era history. I found a whole lot more. Iceland is an island of 40,000 square miles (the size of the state of Kentucky) in the North Atlantic just barely south of the Arctic Circle. There were no humans until 860 AD when a ship from the Faroes stumbled on it. A few years later a ship captained by Raven Floki came to explore. He found it cold and dangerous and named it Iceland. Settlers arrived in 870. 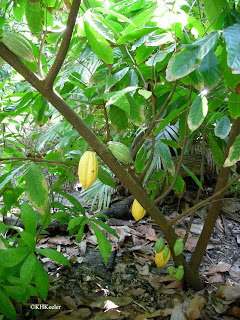 They spread across the land, trying to raise crops on an island with shallow soils and a short growing season. Eventually they gave up growing grains and simply raised livestock on the green fields. Plantain is that little plant you stepped on crossing the lawn at the park. The weedy plantains are small, common and easily overlooked. In the U.S. there are two species of plantain from Europe that are found in every state, common plantain, Plantago major and lanceleaf plantain, Plantago lanceolata. 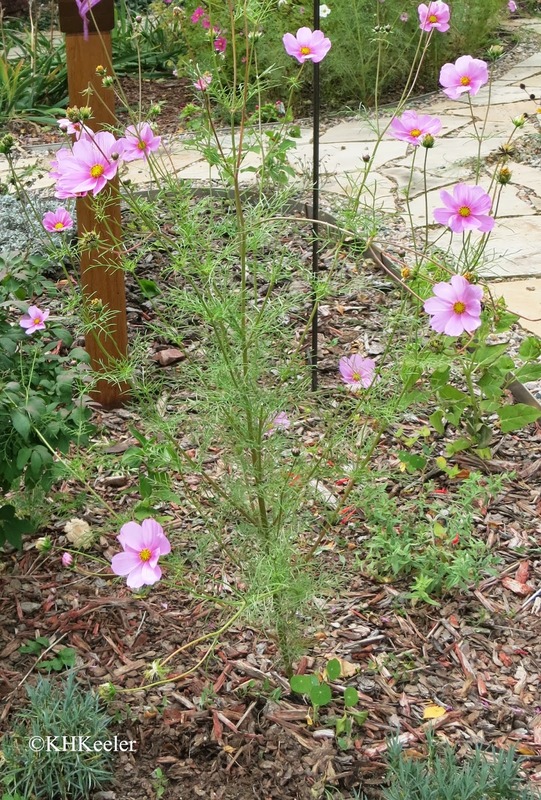 The flat plant with leaves sticking out in all directions, the prominent veins running down the leaves and the distinctive flower heads make them easily recognizeable. Common plantain has the broad leaves (first photo). Lanceleaf plantain has the narrow leaves (second photo). The names plantain and Plantago for these plants both go back to the Latin word planta, meaning footprint. 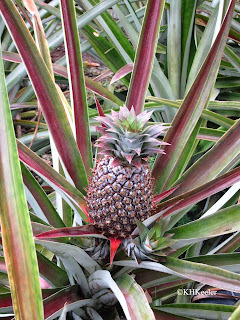 The pineapples we see in grocery stores are the fruit of herbaceous plants, scientifically Ananas comosus, in the bromeliad family, Bromeliaceae. 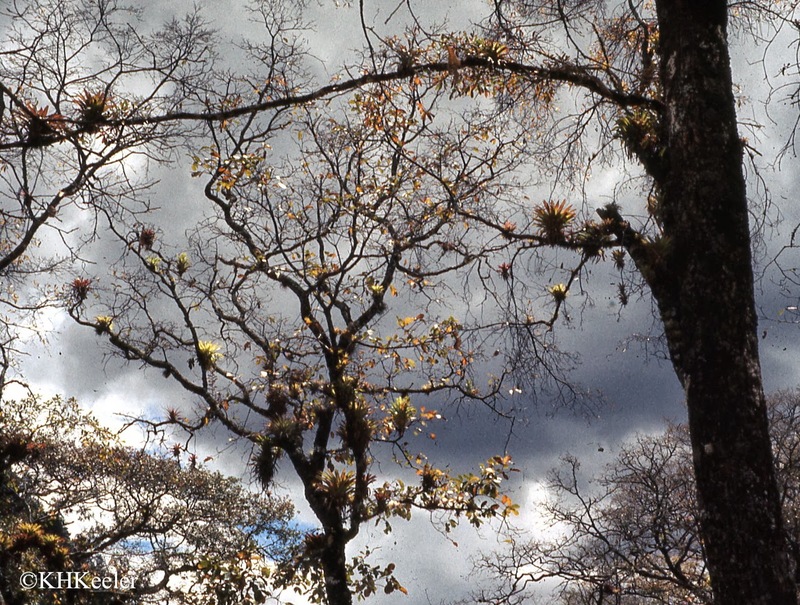 The bromeliads are almost entirely confined to the New World. Most bromeliads are epiphytes, living on trees (see photo), but pineapples grow on the ground (photo above). Pineapples were apparently domesticated prehistorically in South America and dispersed throughout all tropical America in very ancient times. 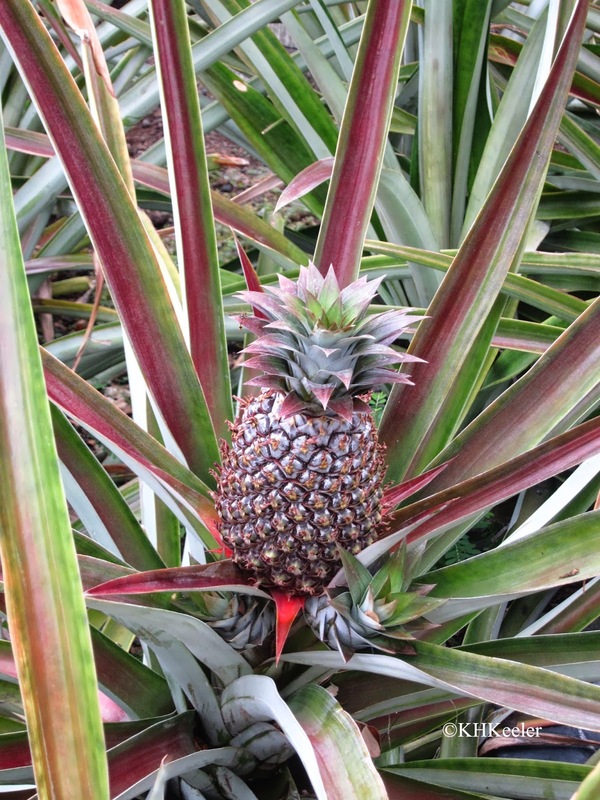 The native people of Guadalupe, and other Caribbean islands, considered sharing pineapples a symbol of hospitality. When Columbus landed on Guadalupe on his second voyage in 1493, they offered him pineapples. Columbus and his men thought the pineapples were delicious. Columbus called them "pine of the Indies." The men in his crew and subsequent Spaniards called pineapples piña, from "pine" in Spanish. Apparently because it reminded all of them of a pine cone. The name piña or pine for pineapples carried over into English initially. In 1633, Gerard called it the pinia or pine thistle in his Herball. (It was not included in the first edition of the Herball in 1599, the one you can find online). John Worledge is given credit for saying the fruit was "like a pineapple" in 1676. At that time, the word apple was used for any fruit, so a pine apple was the fruit of a pine tree, today called a pine cone. That name stuck, replacing pine of the Indies, pine thistle and older names. Despite the shared names, pineapples are obviously not much like either pines or apples. Everyone knows watermelon, right? Big green fruit with red interior and black seeds. An essential part of American summer picnicking. So it was a surprise that In China, not just in American Chinese restaurants, watermelon is the usual dessert. The meal ends when slices of watermelon are served. It is a long way from Denver to Shanghai. Where is watermelon from? 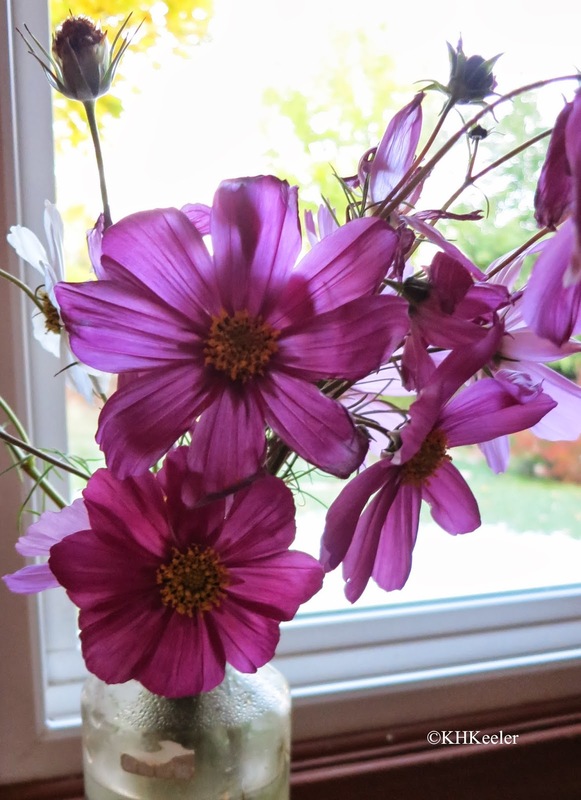 We had three nights of killing frosts and in the yard, my beautiful cosmos are all dead. These pictures are how it WAS. The boquets I picked three days ago are all that remain. In September I took a tour of China with the Denver Art Museum's Asian Art Association, coordiated by Access China Tours. We went from Beijing to Dunhuang in the west through Xian and Chengdu in central China to Lijiang and Dali in the far southwest (Yunnan Province) ending in Shanghai. The contrasts are staggering and I am trying to organize what I saw. We tend to talk about "going to --" as if landing in the capital or the top tourist location will show you all the place has to offer. It is not that easy! Beijing is "China"...As the capital most tours go there. The traffic was pretty continually snarled and the air gray. That said, the Forbidden City (a quaint old name, in modern Chinese the name is the Former Palace), Tiananmen Square, the art museums and the Great Wall are all well worth seeing. In September, it was warm and relatively humid. Dunhuang, in Gansu Province, is about 1500 miles (2,438 km ) west of Beijing, on the edge of the Gobi Desert. It was dry! Days were hot and nights very cool. Great sand dunes loomed above the town. An important trading area, the people were and are a mix of races and ethnic groups. A small place with a long interesting history. There would certainly have been changes in American plant names as a result of the writing of the Flora of North America, but the concurrent emergence of DNA sequencing has produced surprising new data to integrate. Compared to animals, plants have a simple structure. Botanists recognize only three tissues: root, stem and leaf. Flowers and fruit are specialized leaves. From descriptions of the arrangement and details of these three tissues botanists created plant classification. They used all the tools they had: complex measurements, chemical analysis, geographic patterns, and ability to hybridize, for example. After 400 years of applying these techniques, plant biologists thought they were pretty close to having found the true relationships among plants. They were wrong. DNA data has revealed many surprises. In particular, it has shown convergence, where two plants look very similar but turn out not to be closely related at all. For example, flowering plants living in ponds or streams have similar characters for living in or under water, but their ancestors are found all over the plant kingdom. Trientalis europea, formerly Trientalis latifolia. Why? Two very important things happened to plant names in the botanical world starting in the 1980s: the flora of North America project and DNA sequencing. I'll talk about the Flora of North America today and DNA sequencing next time. Books and botanists tell people that each plant or animal has only one scientific name so it is surprising and a bit annoying to discover the name you learned is incorrect. As summer fades into fall, a different set of plants dominate the landscape. In my garden, the chrysanthemums that were an unassuming cluster of leaves all summer are now covered in blossoms. My fruit trees are dropping apples and haws. Burning bush (Euonymous) and maples start to turn color. 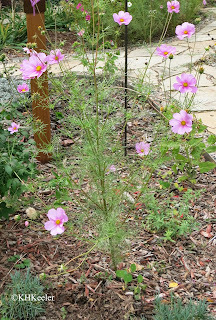 My garden is in Colorado but those are Chinese plants or plants also found in China. In the late 1800s and early 1900s "plant hunters" searched east Asia for garden plants. 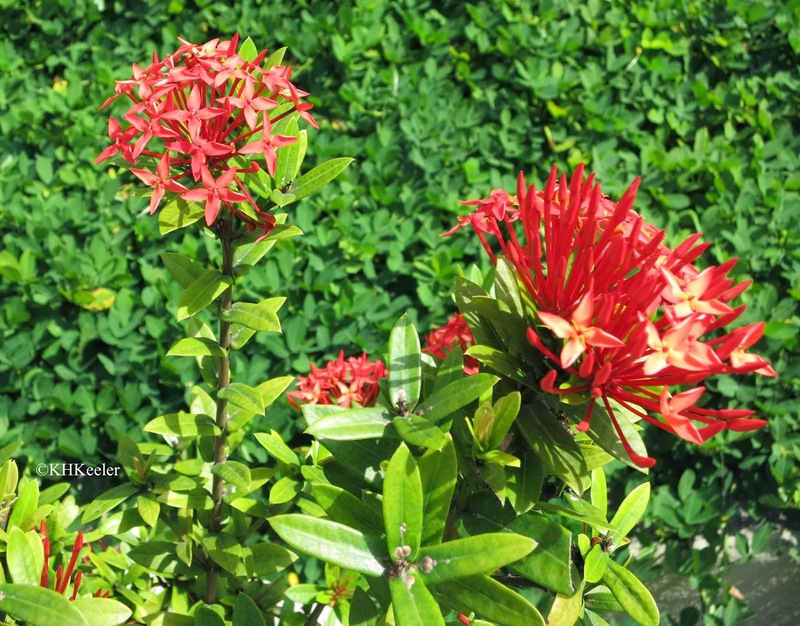 Many familiar garden plants--lilacs, peonies, ever-blooming roses, nandina, butterfly bush--are native to China, introduced to the West by the plant hunters. Traditional Chinese culture noticed the progress of the seasons and cherished it. Plants were associated with seasons--plum blossoms in spring, orchid in summer, chrysanthemum with fall, bamboo in winter--to name The Four Gentlemen, also known at the Four Plants of Virtue. The right plant for the season was important. Having plants out of season brought bad luck. Books on art history tell me that landscape painting as a distinctive style first appeared in Europe in the 1500's. The Chinese have a much longer history of painting landscapes. Several landscape paintings from the 11th century survive and literary sources refer to earlier works. Here are links to two 11th century examples: Guo Xi Early Spring (1072) and Fan Kuan (10th-early 11th C), Travelers Among Mountains and Streams (scroll down). The landscape paintings of China look exotic. They are executed in ink with a brush and are often monochromatic. More familiar American and European landscapes are done in bright oil paint. (links to American landscape painters, and English landscape painters, Constable, for example). The shapes of the rocks, mountains and trees in traditional Chinese landscape painting seem odd to an American eye. Clouds or fog fill parts of the pictures, adding to the dream-like quality. Last post (link) I talked about how buffalo grass, Buchloë dactyloides (grass family, Poaceae) spread because it was eaten and planted by bison (the American buffalo, Bison bison), and how it provides all-year nutrition for bison (and cattle). 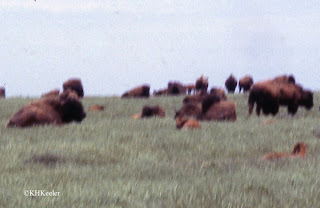 One result of this mutually beneficial relationship was that bison spread buffalo grass all over central North America. However, just being carried by bison isn't enough to explain the wide natural distribution of buffalo grass. The plants had to to survive in the places bison took them. And they did, very well indeed. 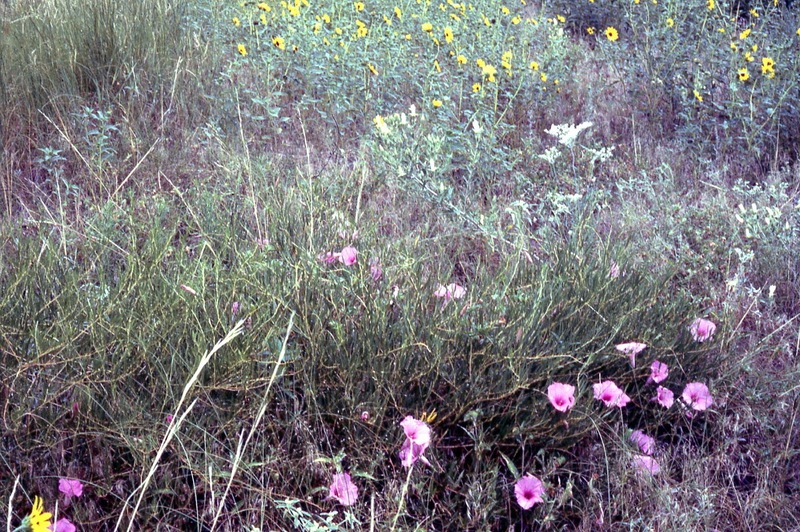 Buffalo grass is characteristic of the North American high plains--in fact it is one of the three most abundant grasses. It is highly successful in a region of frequent droughts, long and short, mild and severe. grass family, Poaceae. Area is about 1 square yard. Buffalograss is one of my favorite plants. Grasses get walked over a lot, with people not even trying to tell them apart. One of buffalo grass's strengths might be recognizability. Once you learn what it looks like, it is easily recognized. The leaves are narrow green ribbons. The plant sends out runners which root and let it spread. It never grows more than 8-10" (20 cm) tall. You never have to mow a buffalo grass lawn. For clarity I should state that I'm talking about Buchloë dactyloides, the buffalo grass that is native to the high plains of North America. There is a tall (3', 1 m) grass in southern Africa called foxtail buffalo grass which I have seen labelled "buffalo grass" online. I don't mean that buffalo grass. And, apparently South Africa and Australia call Stenotaphrum secundatum buffalo grass or buffalo lawn grass. In the U.S., the usual name for S. secundatum is St. Augustine grass. I don't mean that buffalo grass either. I mean the North American native buffalo grass Buchloë dactyloides. foot. The grass blades are about 4"
(I have no idea why there are dots, an umlaut, over the e. There are two syllables there, though: Buk lo ee). The "buffalo" in the name of the buffalo grass refers to the American bison, Bison bison, popularly called the buffalo. Buffalo grass, Buchloë dactyloides, apparently owes its distribution to the bison. And it contributed to the bison's success. In sum, they have a mutualistic relationship aiding both, even though they are grass and grazer. 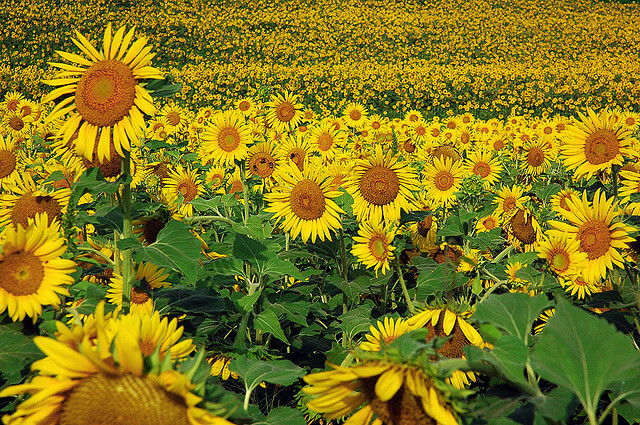 Plant Quiz: Where is Boston ivy, Egyptian cotton, Jerusalem artichokes and Russian sunflowers native? Plant names are endlessly fascinating to me. Especially when I learn they don't tell me what I thought they did. I don't have the right pictures, so I send you to the web to see pictures of the plants. 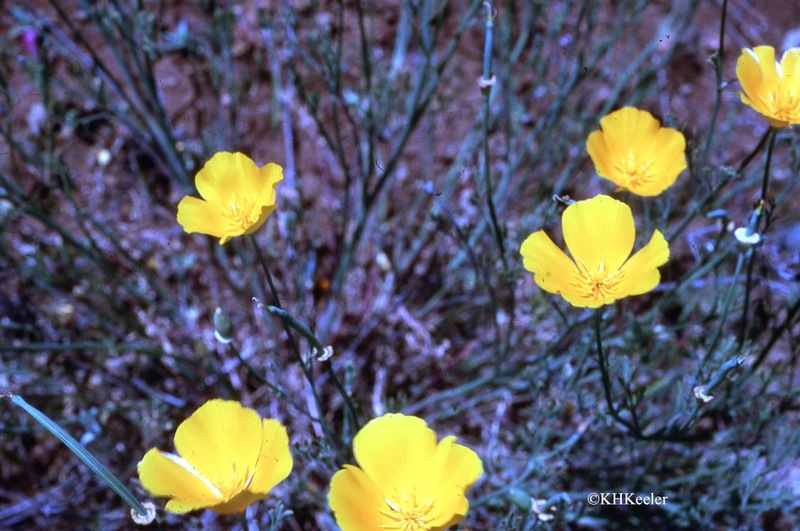 Where are the following plants native? Sometime in the last week I passed my half year anniversary. I've been writing this blog for 6 months. I expected it to be hard work checking my facts, and it has been. While I am writing I have lots of books and web pages open, looking for facts and ideas. And I do lots of pacing while I think about what I want to include. It has also been great fun! Writing this blog raises my mood. I work on it for a while and am happier than when I began. I will certainly go on gathering information about plants, places and the past to share. Not far from the coast, the penninsula with Point Reyes National Seashore has forest to ramble through. 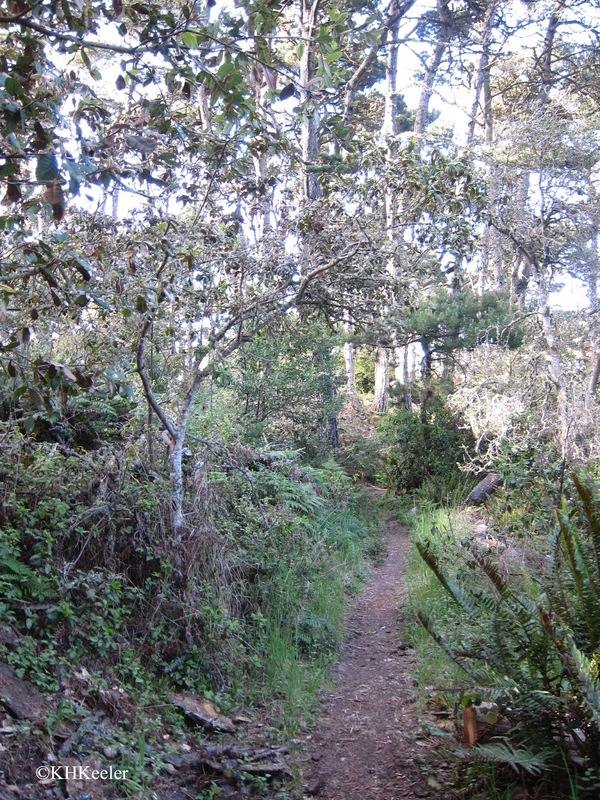 Trees included some coast redwoods, but also Douglas fir (Pseudotsuga menziesii), big leaf maples (Acer macrophyllum) and California bay (Umbellularia californica). 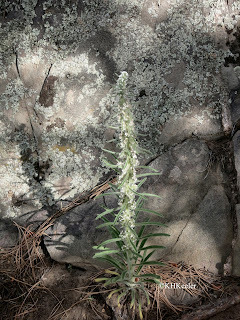 Like common mullein (previous post) miner’s candle makes a tall spike of flowers in the Rocky Mountain front range. And yet these plants are very different. 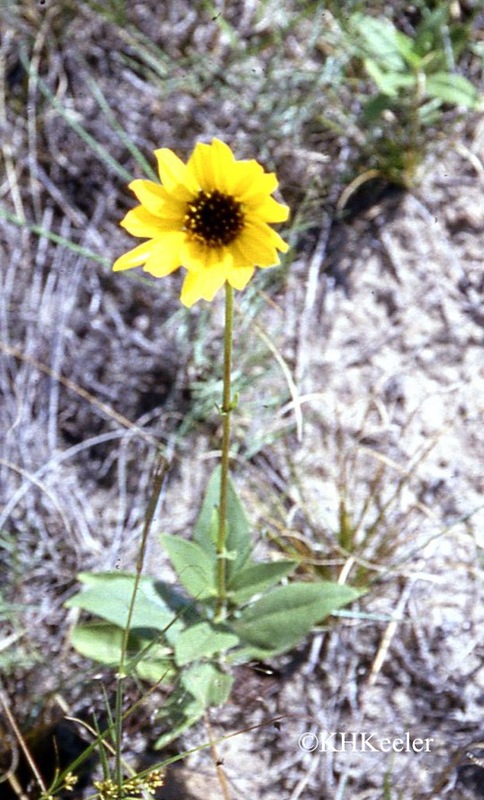 The genus Oreocarya has 62 species, all in the western United States. Some are widely distributed but others are found only on sand or deposits of volcanic ash. Weber and Wittmann imply miner's candle prefers gravelly granitic slopes, but I don't think those are confined to Colorado and Wyoming. Despite its narrow geographic distribution, miner's candle can be quite abundant where it is found. Miner's candle sends up a flowering spike that can be 2 feet (70 cm) tall. The flowers look like large white forget-me-not (Mysotis spp.) flowers, because they are in the same plant family, the Boraginaceae, the forget-me-not family. The leaves have coarse hairs. How long does miner's candle live? Nobody has studied it but is certainly a perennial, living two or more years. I could not find one paper in the professional literature on miner's candle. It is mentioned in plant lists for natural areas and included in papers relating the species in the its genus to each other, but that's it. The contrast with common mullein is striking--only one common name, no studies of life cycle or plant chemistry, no reported medical uses, no folklore. This, sadly, is the case for a substantial number of the world's plants: all we know about them is their name. Easily recognized, of limited distribution, unstudied, miner's candle is a plant of more questions than answers. We think we know so very much here in the 21st century, but at best that's only true relative to the past, not to what there is to find out. Where can you see miner's candle? Not in cultivation. 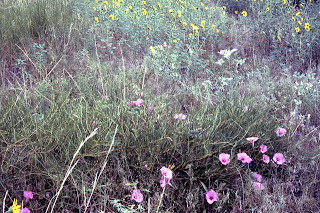 Maybe in a native garden in Colorado or Wyoming but I don't remember ever seeing it. It is more likely that you can see it in the wild, although that means in Colorado and Wyoming. Once there it is actually pretty easy to find. These pictures of mine are from Round Mountain Nature Trail, along Route 34 going up Big Thompson Canyon toward Estes Park, CO.
Guennel, G. K. 2006. Guide to Colorado Wildflowers. Plains and Foothills. Westcliffe Publishers, Boulder, CO. print. Weber, William A. and Ronald C. Wittmann. 1996. Colorado Flora. Eastern Slope. 3rd. ed. University Press of Colorado, Boulder CO. print. Common mullein, Verbascum thapsus, is a European plant that has made its way all over the world. The USDA plant distribution maps show it in all the U.S. states and all but Arctic Canada. It is a member of the Scrophulariaceae, the snapdragon family. The name mullein may be from mollis, Latin for soft, a description of the big hairy leaves, but it is possibly from the Latin malandrium, a disease of cattle, for which mullein was a remedy. There are several points of confusion about common mullein (see below). But clearly it has been known so long that its common name is based on Latin. Pliny called the plant verbascum, so apparently that was another name Latin speakers used. Linnaeus adopted Verbascum as the scientific name for the genus. The word, thapsus, is the name of a town in north Africa, now Ras Dimas, Tunisia. On April 6, 46 BC, Julius Caesar defeated the forces of Scipio at Thapsus. The battle was fought on the outskirts of the city and the city surrendered shortly thereafter, ending the war against Caesar in Africa. However, when I tried to figure out if that meant that mullein grows in Tunisia, I discovered that en.wikipedia says, convincingly, that thapsus was taken from thapsos, the name of an unidentified plant from Thapsos in Sicily. As far as I can tell the plant has been growing in both areas since prehistoric times. I doubt that it is native to all of Eurasia as the en.wikipedia article says. More probably, long before written history it migrated with humans to all those locations, from some much more limited homeland. Point Reyes National Seashore is a lovely place. When it is unpleasantly hot in St. Louis, Denver, or Walnut Creek, you can head to the beach and find yourself cooled by the breeze off the ocean, and even looking for a windbreaker when the clouds roll in. We were there in May and we really did have these beaches to ourselves. The spring wildflowers were glorious. They dotted the headlands with color. I have been writing how the rules for plant names are made and how they are changed. The rules and changes are made by people. But people rarely all agree. Controversial issues dividing the members of the International Association of Plant Taxonomists (IAPT) keep cropping up. The current problem is the acacias. 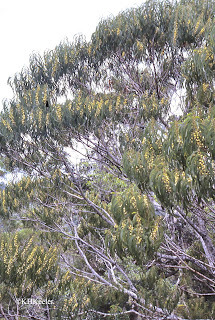 Acacias are trees and shrubs found in the Americas, Africa and Australia, with a few in southern Asia and on islands around the world. Historically they were in one huge genus with 1,540 species, the genus Acacia. It has been clear for more than a decade that the acacias are not a single group but rather five groups of similar-looking plants. The subgroups (subgenera) of Acacia are being renamed as genera in their own right, bringing the names into line with the evidence, which is both molecular and morphological. The problem was and is: which plants get to be called Acacia? I wrote last time about the IAPT--International Association of Plant Taxonomists--the group that set up the rules of plant names. Changes are proposed and the rules gradually change. Many rules go back decades but the work of the International Association of Plant Taxonomists goes on. The big news from the International Botanical Congress held in Melbourne Australia in 2011 was that the IAPT changed the rule that required the official description of a new plant to be in Latin. When Linnaeus set up our taxonomic system, he wrote in Latin. For centuries, new plants and animals were described in Latin.